RIVER QUEEN! You won't find a more scenic or more tranquil view of the Ohio River and Indiana shoreline than this amazing home in amenity-rich Cardinal Harbour in Prospect. An in-ground pool, horse stables, two professionally built tennis courts, full outdoor basketball court, locked outdoor storage, launch ramp for your boat, plus a spacious clubhouse for your special events, make living here like belonging to a country club. The views from this beautiful 3BR, 3BA home will take your breath away as your nearly one-acre, riverfront lot, blends into an additional 85 acres of parkland set aside for resident's use and enjoyment. Horseback riding, hiking, and bicycling are just a few of the activities that are available. 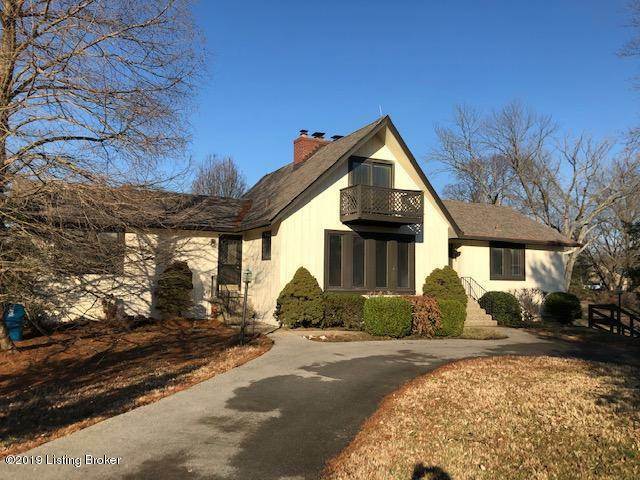 Featuring beautiful hardwood floors this 2000 SF home plus a 750 SF ... partially-finished awaits you, located on a secluded cul-de-sac you will enjoy the serenity of magnificent sunsets and the fresh awakening of new dawns on the river. Whether it's morning coffee or an evening glass of wine, you'll be forever grateful for the day when you made this restful place, "home". River homes at this price never last long, especially so close to Oldham County schools, so don't wait; call for your private showing today! Directions:Hwy 42 East, left on Hwy 1793, right on Rose Island Road, left on Cardinal Harbour, follow .8 miles to Bel Vista Court. Turn left. SchoolsClick map icons below to view information for schools near 13903 N Bel Vista Ct Prospect, KY 40059.